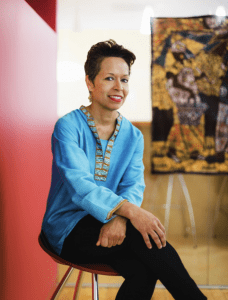 Deborah Holmes, journalist, activist, and social justice leader. It is with sad heart that I write about the loss of Deborah Holmes. I had the privilege of working with Deborah in March of this year as I prepared to write about the history of women’s funding for progressive change. 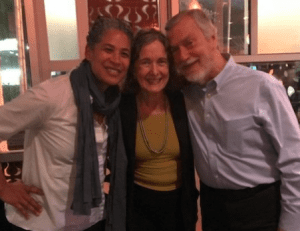 Deborah was tremendously devoted to her work, and was a fantastic collaborator in creating the ideas for my recent posts published on Inside Philanthropy and The Chronicle of Social Change. Several people have written about Deborah’s legacy since her loss on April 27, 2018. I thought of trying to provide excerpts, but each of the statements about Deborah seems to have its own integrity, so I am providing them in full below. 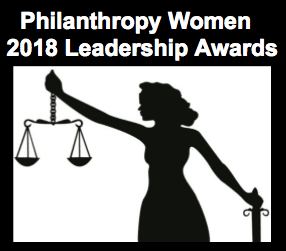 The Philanthropy Women awards focus on leadership in the gender equality philanthropy sector. This is our first year here at Philanthropy Women, and these our inaugural awards. They go to recipients who have demonstrated exceptional leadership in the field of gender equality philanthropy. 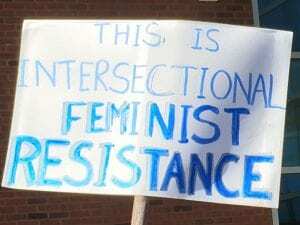 These awards draw on the database of Philanthropy Women’s coverage, and are therefore inherently biased toward the people and movement activity we have written about so far. As our database grows each year, we will cover more ground, and have a wider field to cull from for the awards. 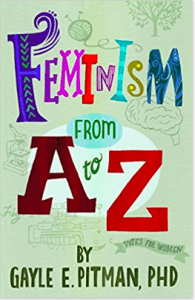 Feminism From A to Z by Gayle E. Pitman, PhD, is a treasure trove of ideas and activities you can do with young girls and boys to help build feminist awareness. 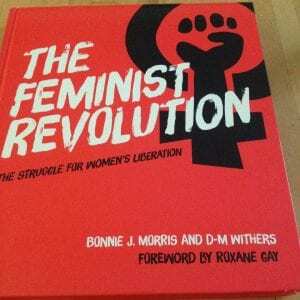 When I first received my copy of Feminism from A to Z, I admit I was dubious. How well would a teenager appreciate being given a book whose contents were organized by the first letters of the alphabet? But I was so wrong. In fact, the book immediately addressed my first concern by explaining its reasons for its organizing format. And as I began reading each of the chapters, it only took me until about letter D to realize I had just discovered a gold mine of ideas for how to work with young women to build feminist awareness into their identity. 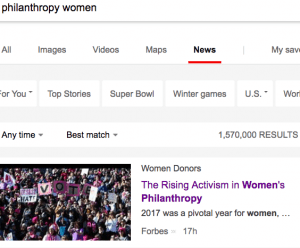 When I became interested in women’s philanthropy, one of the first questions I wanted to answer was about who started the funding of feminist-strategy giving. 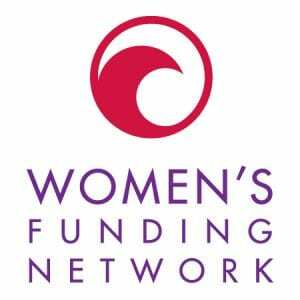 It was surprising and disheartening to learn that there were very few accounts of the history of women’s funding for women. 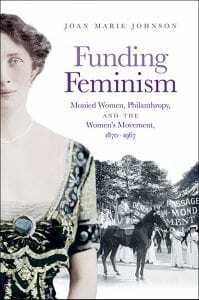 So imagine my delight when I heard about the publication of Joan Marie Johnson’s book, Funding Feminism: Monied Women, Philanthropy, and the Women’s Movement, 1870-1967. Her work in creating this history performs the desperately-needed public service of raising the profile of historical women who paved the way for gender equality, and a world where feminist leadership would set higher standards for civil society. 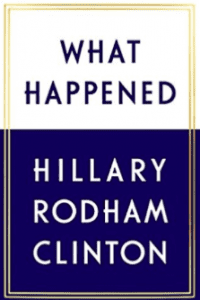 I’ve been listening to Hillary Clinton’s What Happened in spurts over the past few days, and it’s time to start sharing some of the highlights. In her own voice on audio, Clinton speaks on a wide range of topics related to her political life. In particular, Clinton speaks with regret about taking speaking fees from large financial corporations and analyzes how the alt-right’s slandering the Clinton Foundation skewed the election. I am now on Chapter 9, and this is when What Happened gets very relevant to philanthropy. I highly recommend listening to the book on audio — it really helps to have the words spoken by Hillary Clinton, who is destined for legendary status in the history of women’s advancement, whether she won the presidency or not.